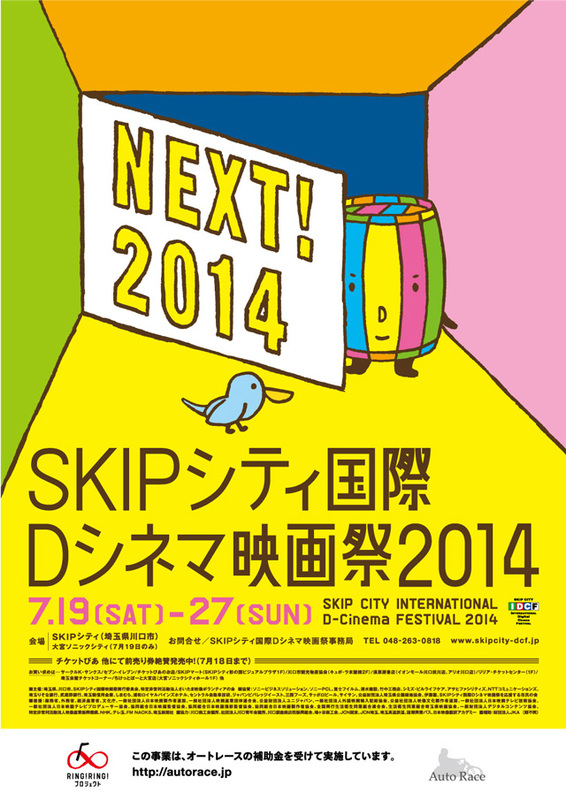 The 11th edition of the SKIP CITY INTERNATIONAL D-Cinema FESTIVAL 2014 was held over 9 days from Saturday, July 19, to Sunday, July 27. 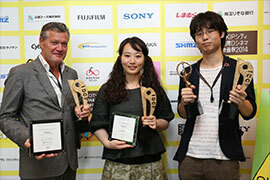 It featured a new Animation Competition (domestic), and the number of competition sections became three along with the Feature Length Competition (international) and Short Length Competition (domestic). It also added a new screening venue at Omiya Sonic City, and so strengthened the aims of festival, which are to discover and support young filmmakers and to develop and promote the digital audio-visual industry. The Opening Film was a British film “Sunshine on Leith” directed by Dexter Fletcher, whose directorial debut film “Wild Bill”, competed in the 2012 edition of the festival . 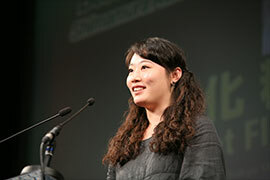 “Sunshine on Leith” is based on the hit musical of the same title and the screening of the festival was a Japan Premiere prior to its theatrical release in August. For our competition, we received a total of 727 entries with 536 feature length, 128 short films, and 63 animations from 84 different countries and regions. From these, a total of 38 films including 12 Feature-Length, 12 Short-Length and 14 Animation films were screened, with each film being screened twice. 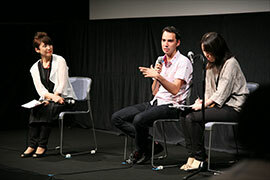 Many guests from around the world attended the festival and took part in Q&A sessions with the audiences. 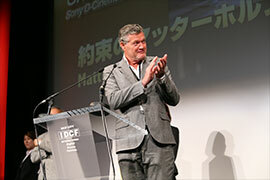 The Dutch film "Matterhorn" directed by Diederik Ebbinge received the Grand Prize in the Feature Length Competition. The film showed a lonely man who comes out from his barrier and finds his own life. 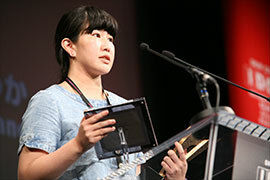 A Japanese film “Antonym” directed by Natsuka Kusano won the Best Director and SKIP CITY Award, and this was the first time that a female Japanese director won the Best Director. "Angel in the Closet" directed by Takayuki Ohashi and “Sunset Flower Blooming” directed by Yuanyuan Hu received the Best Picture in the Short Length Competition and in the Animation Competition respectively. An animated film “Anohana the Movie: The Flower We Saw That Day” was screened in the satellite screening at Omiya Sonic City. The animation is set in the Chichibu City, Saitama. Followed by the screening, Shundo Kakizaki, a producer of holy land pilgrimage, talked about Saitama as a holy land of animation. 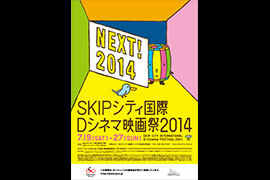 Other screenings we delivered included: the ever-popular Cinema Kabuki, which was “Koya Hijiri” in 2014; "The Eternal Zero" with subtitles and hearing guides for the hard-of-hearing and those with low vision; and “Anohana the Movie: The Flower We Saw That Day” again at the Audio-Visual Hall in SKIP City. We also organized many other events. In Kobaton the Movie, which introduces attractions of Saitama in films, “Hitoha’s Tree” directed by Koki Fukuyama, with its theme of the chest of drawers made of paulownia wood, a traditional craft of Kasukabe City and “Song of My Village” directed by Ryosuke Hayasaka, which depicts nature in Eastern Chichibu. 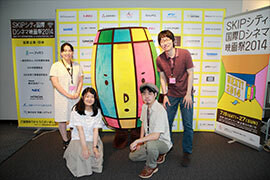 In the educational program to support children's film production "Camera Crayon", a 2013 film produced by Kawaguchi Kids Movie Club and two films made by middle school students in Sapporo were screened. 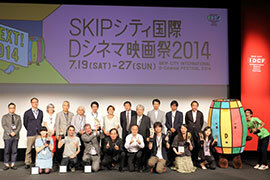 Also “SKIP City Project Market” was held and young filmmakers pitched their film projects to advisers. Other than these, in Anime-Day Special Event – The Secret behind the Birth of TV Animation “Sgt. 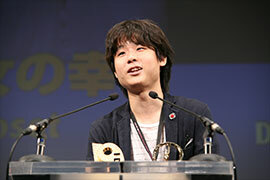 Flog”, Kenji Uchida, a producer of “Mobile Suit Zeta Gundam” series and Chairman of Sunrise, talked about animation production and the special screenings of episodes of “Sgt. Flog”. The 2014 edition concluded with great success and the future editions will be held as gateway to further success of young filmmakers into the world.